These Individual Apple Pies have a butterscotch chips and dried blueberries for extra flavor. Topping them with a cut out shape or letter adds fun. I’ve used SnapDragon Apples in this recipe. If you live in the North Eastern US, look for them in Wegman’s and check out this Where to Buy guide. This recipe is sponsored by the New York Apple Growers. Have you heard the expression “As easy as apple pie?” I don’t get it. I don’t find pie-making easy. Not usually. Unless I use store-bought pastry. Which is what I’ve done to make today’s recipe. 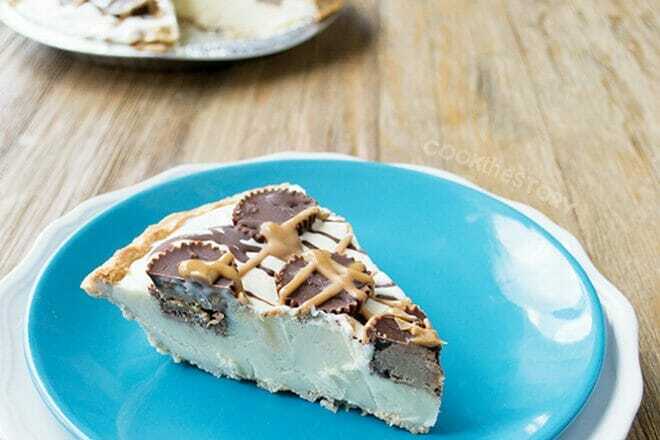 These are really easy pies to make. They have butterscotch chips and dried blueberries in the filling for extra flavor and cut-out shapes on top for extra fun. You can do letters or numbers or choose a cookie cutter that is themed for a certain season or holiday. 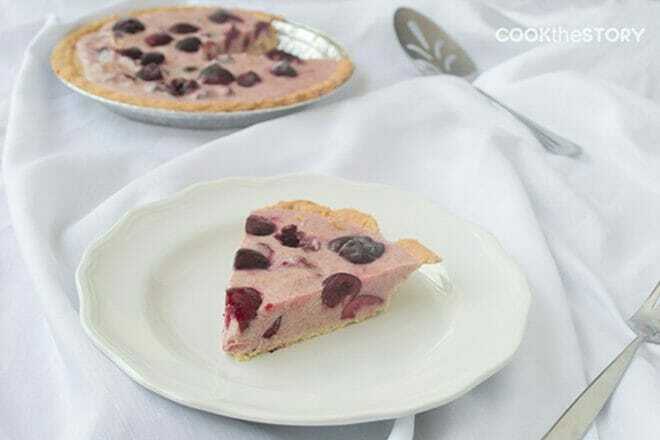 To make the filling for these pies you mix together finely chopped SnapDragon apples, dried blueberries, butterscotch chips, brown sugar, flour, cinnamon and a touch of lemon juice. Mound the mixture into ramekins. Then you work on the crust. Well, work is probably the wrong word since I use a store-bought crust. Feel free to use your own but then it won’t be as easy. I use the store-bought pastry dough that is sold in the refrigerator section near the tubes of biscuit dough. It comes in a long rectangular box. Inside is two pastry crusts that have been rolled into big flat circles and then rolled up jelly-roll style. 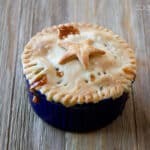 To make the pies you unroll one of the crusts and then cut out circles for the top crusts of the pie and use a cookie cutter to cut out shapes to adhere on the top. Lay the circles over the ramekins, crimp the edges with a fork and then top the crust with a cut-out shape. Bake and you’re done. The SnapDragon apples used in this recipe are a sweet crunchy apple. 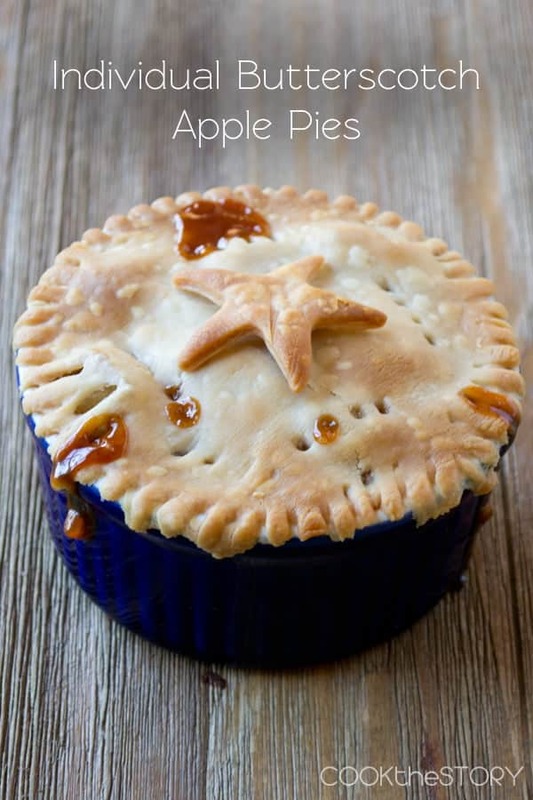 They’re great for baking in pies because they soften quickly when cooked but hold their shape and don’t get mushy. If you live in the North Eastern US, these apples are available right now (November 2014). Look for them here. 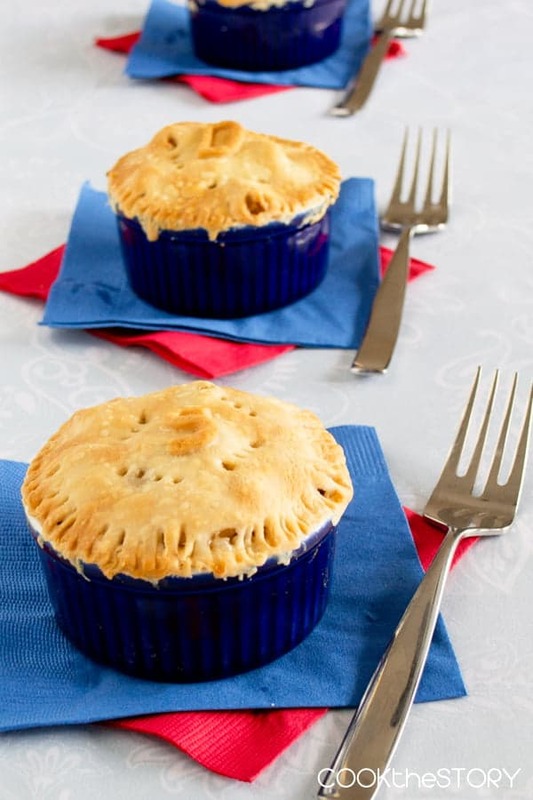 The little pies are a cinch to make and yet are bursting with flavor and fun. In a medium bowl combine apples, brown sugar, flour, cinnamon and lemon juice. Fill four 6 ounce capacity ramekins halfway full with the apple mixture. Divide the blueberries among the ramekins followed by the butterscotch chips. Top with remaining apples. The ramekins will be well-mounded. Roll out the pie crust to an 11” rectangle or circle. Cut in half lengthwise and then again in half widthwise to create 4 equal pieces. Place one of the dough quarters onto a ramekin. Push the dough down onto the edges of the ramekin to cut it off. Use a fork to crimp all around the edges and to poke some holes in the top of the crust. Repeat with remaining dough until all four ramekins have a top crust. From the dough trimmings, use cookie cutters or a knife to cut shapes or letters. 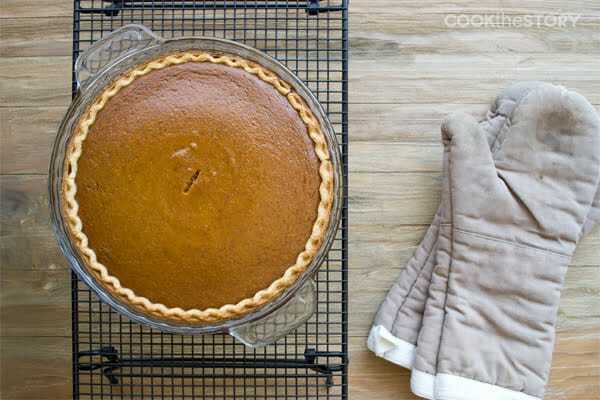 Brush these pieces lightly with water and affix one onto the top of each pie. 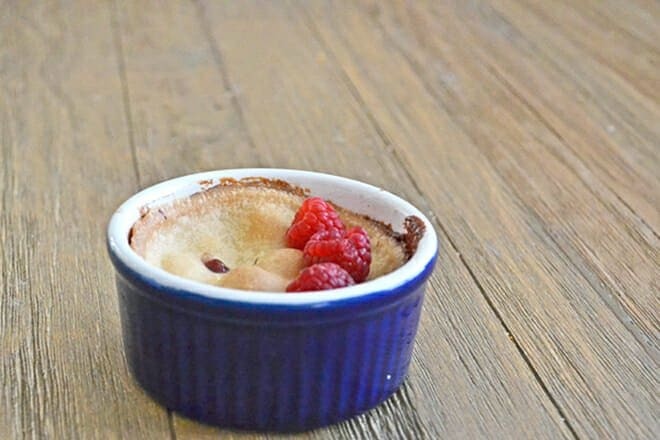 Place the ramekins on a baking sheet and transfer the baking sheet to the oven. Bake until the crust is well-browned and the filling is hot, 23-26 minutes (or as specified by your pie crust directions). Disclosure: I was compensated by the New York Apple Growers Association to develop this recipe and photograph it as well as to post it to my blog and promote it across social media. All opinions are my own. What darling pies. What a festive idea to make the stars on top. I wouldn’t have thought to do that. I am enchanted with the idea of putting the butterscotch chips in the apple pie. Wonderful! Thanks Carol! I’m in love with butterscotch chips and have been adding them to all kinds of things lately. They have such a rich flavor!